Need to refresh, inspire, and jumpstart the fun factor for your organization? We gotcha covered. Take the leash off your corporate responsibilities and step onto the sand with your team for a day of surf, sun, and camaraderie. Our corporate team-building clinics are specially designed to boost team unity, productivity, and morale in a fun, challenging, rewarding setting. 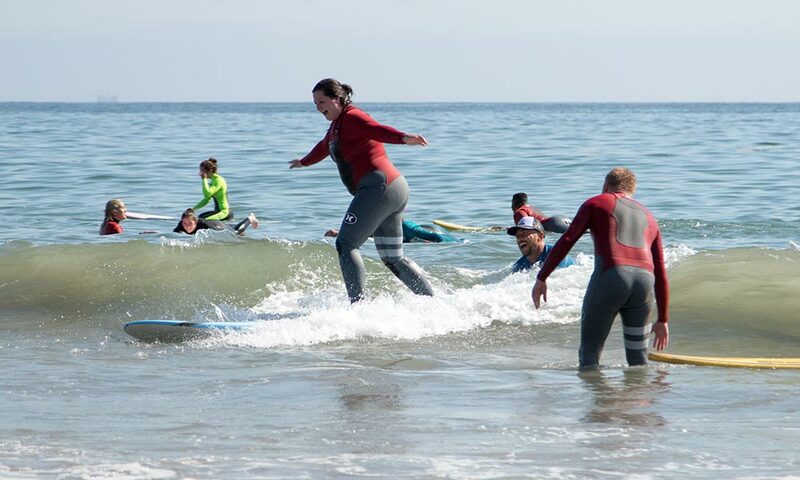 You won’t believe that spirit and enthusiasm you’ll see erupt from your co-workers when they hit the surf after popping on “the full-body diaper” and hitting the waves! Not only will your team learn how to surf – they’ll leave with the tools to relate to and support each other more effectively in the workplace. We’ll have even the staunchest grump in the group relaxing, learning, and laughing with the pure stoke that comes with standing for the first time. 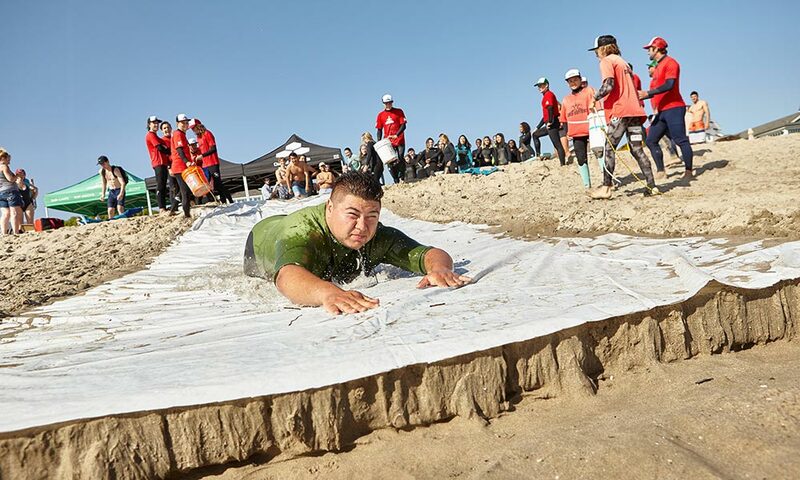 Throw in our patented team relays & paddle contests, and we guarantee to jumpstart the fun factor by a factor of seventeen thousand million for your crew- and send them home stoked for what comes next. 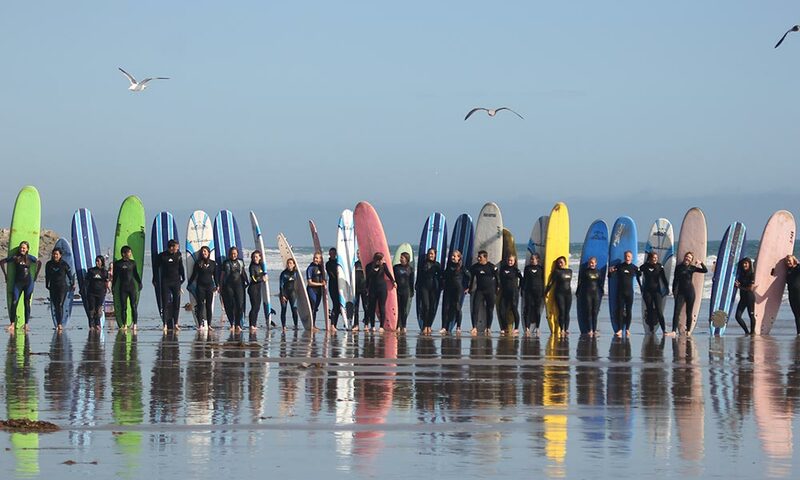 For more than twenty years, Surf Happens Premier Surf School has been the leader in surf coaching, classes, camps, and corporate events for up to a thousand participants. Check out our website! Our clients are all ages and all skill levels, from those venturing into the ocean for the first time to World Surf League competitors. We also produce the annual Rincon Classic, one of the largest and most-respected surf contests on the West Coast. 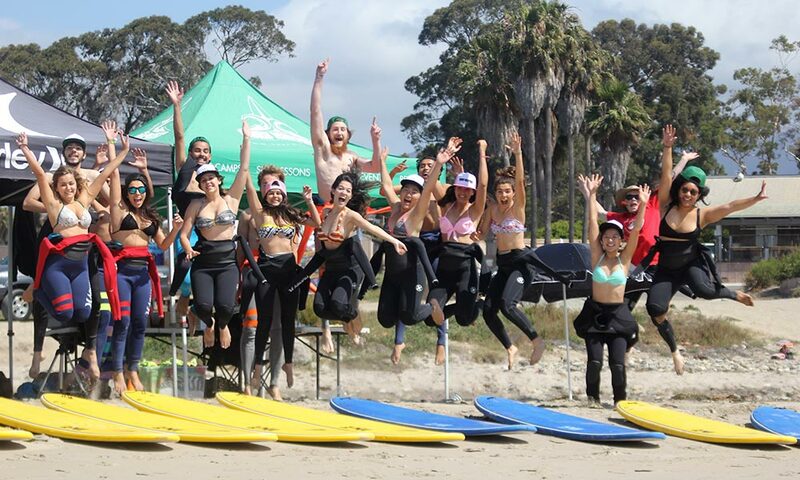 With pride and passion for the sport of surfing, an expert team of instructors, a fleet of comfortable vans, and all the equipment you’ll need, Surf Happens will free the best in your employees. 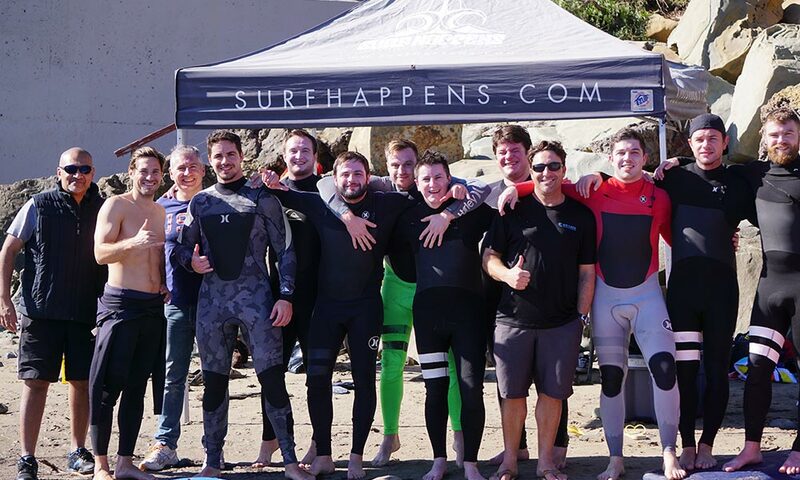 Surf Happens Premier Surf School specializes in building confidence and camaraderie, and when you partner with us, you are investing in energized employees and enriched workplace relationships. If you have just a handful of employees or hundreds, we’ll work with you to customize a one-day event or a multi-day program around your schedule, budget and group size. 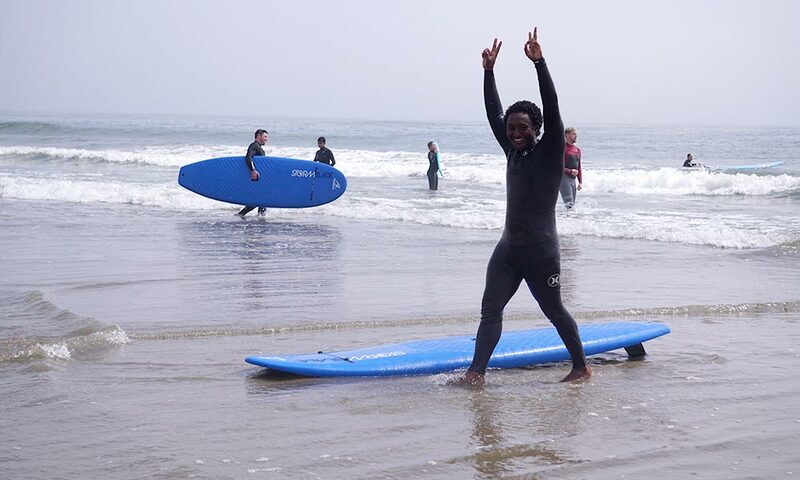 And, you can learn to surf in just two hours! 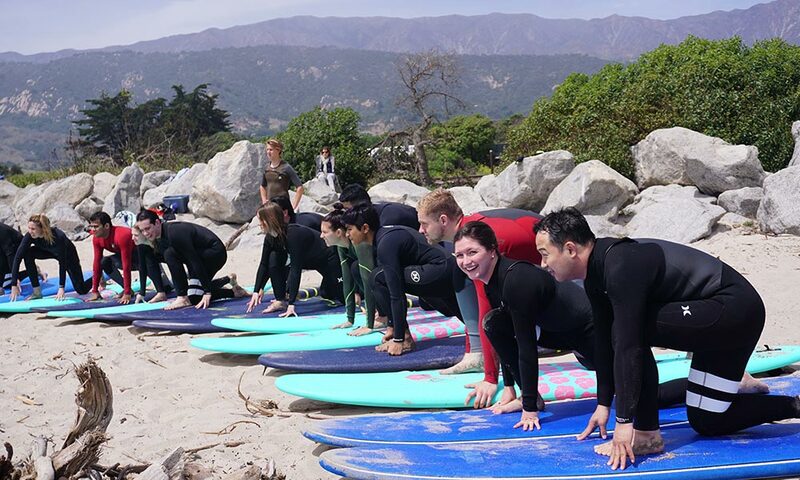 Whether you want an intense team-building experience or a carefree employee appreciation day at the beach, choose Surf Happens as your guide. 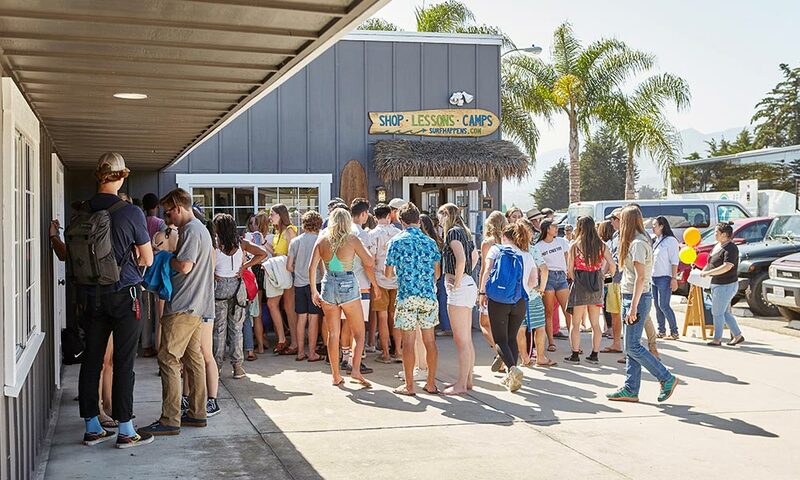 With our fleet of vans and expert instructors, Surf Happens can deliver our services anywhere on the coast, including Leadbetter Point in Santa Barbara and Mondos Beach in Ventura. 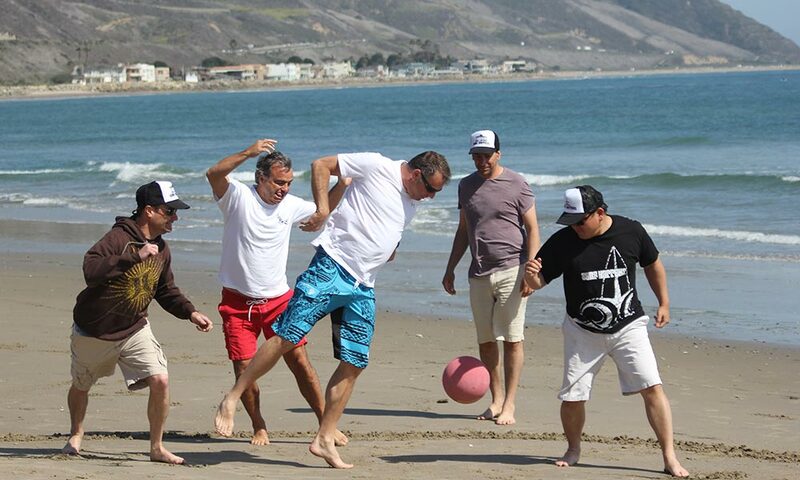 Bring your team to our location at Santa Claus Beach, with its soft sandy beach, predictable waves, and lack of hazards – or head to a spot closer to your headquarters. Pick up and drop off can be arranged too. 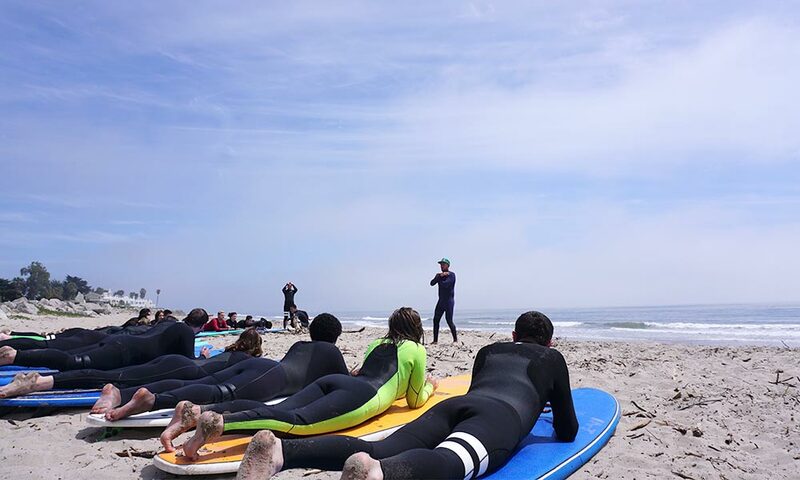 Board and wetsuit rental for each participant, training on the beach and in the water, photos, fun, and 1:2 instructor to student ration for small groups, 1:4 instructor to student ratio for groups of five or more, guaranteed get everyone standing up and riding a wave. Happy, healthy, focused employees – guaranteed! Pickup/drop off in comfortable Surf Happens vans will take you to the local spots with the day’s best surf. Includes board and wetsuit rental, water, snacks, and two hours instruction.